This is a promotion from Fitness First. To celebrate the launch of the brand new and exclusive Fitness First class ‘Diversity Street Dance’, we are giving you the chance to meet the Britain’s Got Talent winners in London on Thursday 21 March at 4.45pm. 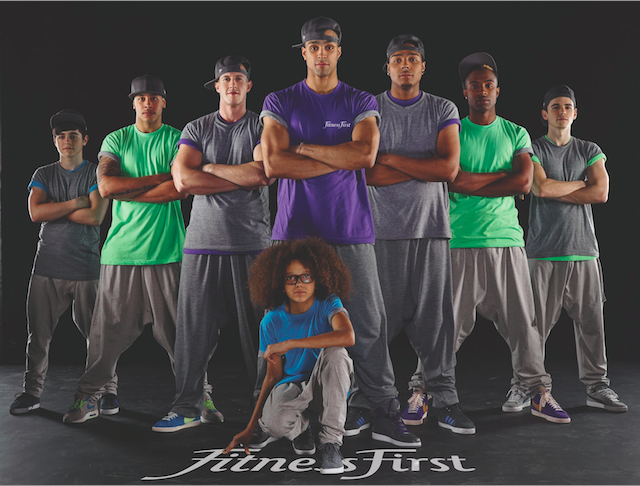 Following a meet and greet with Diversity at Fitness First Spitalfields Tower gym the winner will be transported to a VIP balcony inside Old Spitalfields Market where Diversity will take to the floor for a special performance led by head choreographer and Got to Dance Judge Ashley Banjo. The internationally acclaimed street dance troupe and Britain’s Got Talent winners will be wowing the crowd with some of their most daring and acclaimed moves. ‘Diversity Street Dance’, which launches in Fitness First clubs nationwide from 25 March, fuses energetic street dance moves with traditional fitness, taking members through a high powered routine set against a soundtrack of fun filled, fast tempo music. The class adds a funky atmosphere to a fantastic all-body workout. The winner will be randomly selected on Wednesday 20 March after 2pm. Competition winners may bring friends to the event but only one winner will meet the group. To come and watch Diversity perform at Old Spitalfields Market on Thursday 21 March simply turn up for 6.15pm. Beware, space is limited! The competition finishes at 1:59pm on 20 March. All eligible and successful entries received during the competition period will be entered into the prize draw for a chance to win the prize. The potential winner must be contactable via Twitter Direct Message and provide valid contact details, which will be obtained from the winner on 20 March from 2pm. The winner must be able to travel to and be present at Fitness First Spitalfields Tower Gym, 9 Frying Pan Alley, London, E1 7HS at 4.45pm on 21 March to claim the prize. Travel expenses are not included in the prize. The winner will be contacted on or about 2.30pm on 20 March.